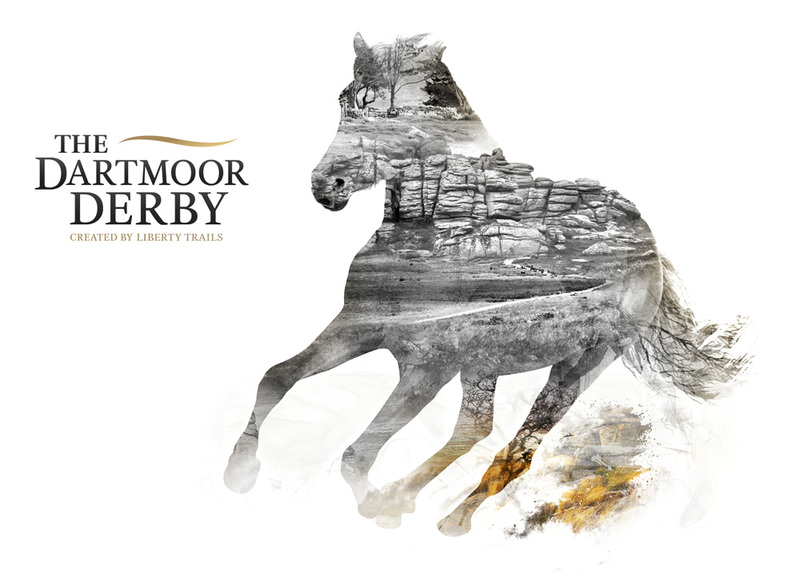 A spectacular new equestrian event is being planned for 2016, The Dartmoor Derby. With the backing of the Regional Growth Fund, UKTI and Dartmoor National Park, the event is being developed by the same team that runs Liberty Trails, an established adventure riding company on Dartmoor. 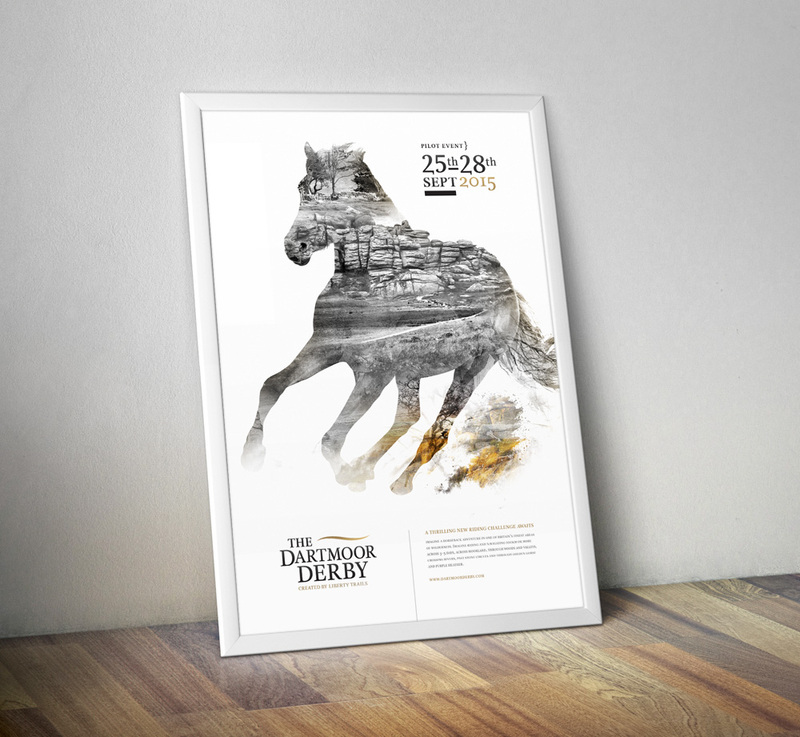 The pilot Dartmoor Derby event required a slim-line brand identity as an endorsed extension of Liberty Trails, whilst visually retaining its independence. Using familiar Liberty Trails typefaces and brand colours, The Dartmoor Derby identity primarily uses white in contrast to Liberty Trails use of black. To imply the varied landscape of Dartmoor that riders will experience, the accompanying image uses ‘double exposure’ to show iconic elements of Dartmoor; wild heathland, immense Tors, trails, wildlife and windswept moorland trees. 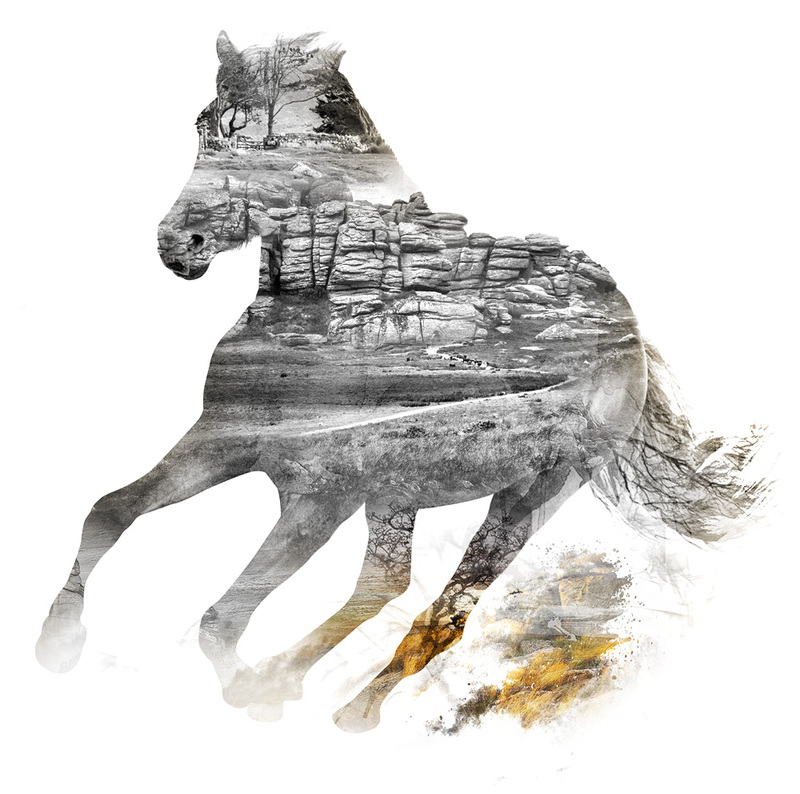 The movement of the riderless horse encapsulates the beauty and freedom of Dartmoor – the wild spirit of adventure.